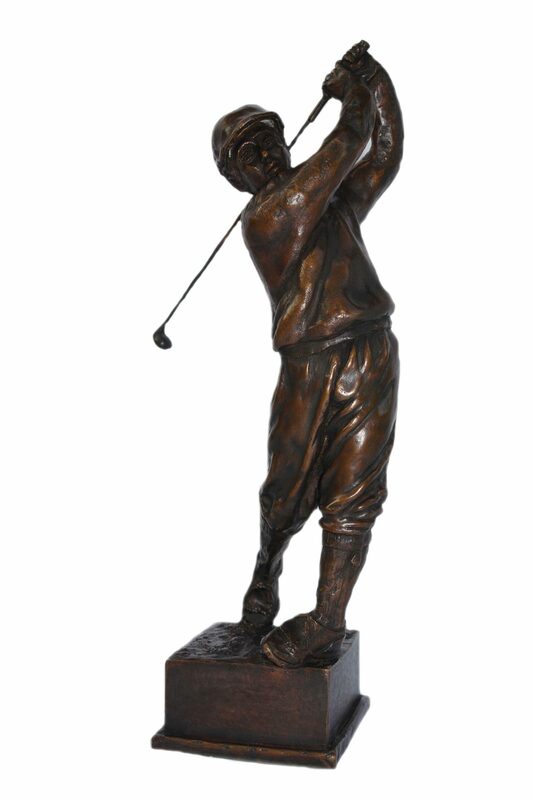 The Golfer was commissioned by VOLVO for the PGA European Tour and presented at the Valderrama Golf Course in Spain in 1992. His perfect swing depicts the precision of the game and the artist’s understanding of movement. Traditional patina. Bronze Limited Edition of 15. Height 40cm Weight 6kg.